Since July 2009, Dr. Totty has served as Dumbarton's appointed pastor. Her passions for ministry include creative worship design, preaching, social justice advocacy, and community-building. She has been found serving communion on the steps of the Supreme Court in celebration of the landmark decision in favor of marriage equality, blessing bicycles along the C&O Canal, marching for an end to gun violence, in costume for the intergenerational Halloween party, leading progressive theology studies, and singing with the Dumbarton choir. Mary Kay believes that God's steadfast, abiding presence surrounds each and everyone; and in each moment God genlty lures us toward words and actions which help build the kin-dom of God. Dr. Totty earned her Doctorate of Ministry in Art and Theology at Wesley Theological Seminary in May 2015; her Master of Divinity at Brite Divinity School, Texas Christian University in 1989l and her Bachelor of Arts degree in Religious Studies and English Literature at Louisiana State University in 1985. For her doctoral project, Mary Kay created a study/worship/sermon series based on T.S. Eliot's "Four Quartets." She led the series at Dumbarton and recruited three colleagues to lead the series in their churches. Mary Kay enjoys dinner parties, good coffee with friends, hanging out with her dog, reading, museums, and creativity. She delights in making art from homemade cards to watercolor paintings, from collage and assemblage pieces to upcycled vintage jewelry that she embellishes with tatting. Mary Kay really does believe that the world needs more lace. Rev. 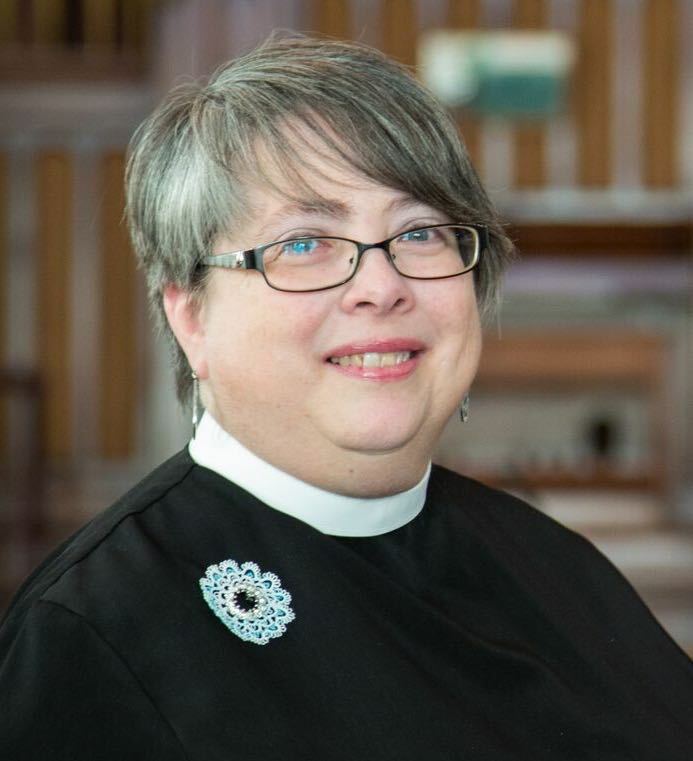 Doris Warrell is an ordained deacon in full-connection in the Baltimore-Washington Annual Conference of the UMC. In her secondary appointment at DUMC, Doris serves the congregation by leading small group activities, occasional preaching and other activities. Doris has served with various nonprofits, including Bread for the World, Bright Stars of Bethlehem, DC Campaign to Prevent Teen Pregnancy, and American Near East Refugee Aid. Rev. Warrell has a Master of Arts degree in International Affairs/African Studies from Ohio University and a Bachelor of Arts degree from Ashland University. Angela is an ordained deacon in service with Dumbarton UMC as her secondary appointment. Her primary ministry is as a chaplain, being present with people from all walks of life at times of illness and crisis. She is a graduate of Wesley Seminary. She values theological discussion, community life, and Native American ministry. Angela is a lifelong Methodist who was born and raised in England, so her roots are in British Methodism. A.J. is excited to be joining the team at Dumbarton United Methodist Church! In addition to serving as Director of Music Ministries at Dumbarton, A.J. is an active pianist and conductor in the Washington D.C. area. As a performer, he has played at the Kennedy Center, the Smithsonian, the U.S. Congress and at numerous area embassies and universities. He is the resident keyboard artist with the Georgetown Chorale, conducts a Chevy Chase-based singing group, and teaches piano lessons both in a private studio and at the Wolf Trap Education Center. He is pursuing a master's degree in music at the University of Maryland. Away from the performing arts, Andrew enjoys reading, baseball and the outdoors. And many "other duties" too numerous to mention. Have a question about how the church works? Ask Melany. As our newest staff member, Jeehye (pronounced “jee-hae”) joins us with years of experience as a children’s minister/director, serving previously in Korean Methodist churches. She works at the Commission on Religion and Race of The United Methodist Church and has worked at Many Voices. She is a Korean-American who was born in South Korea and immigrated to the United States with her family when she was five years old. She grew up in Maryland and came to D.C. to attend Wesley Theological Seminary, where she graduated with an M. Div in 2012. She lives in LeDroit Park, D.C. with her husband, Simon, and their baby, Lev. She loves to explore the city and go on adventures near and far. She is excited to be on this adventure with Dumbarton, especially with the children and youth! 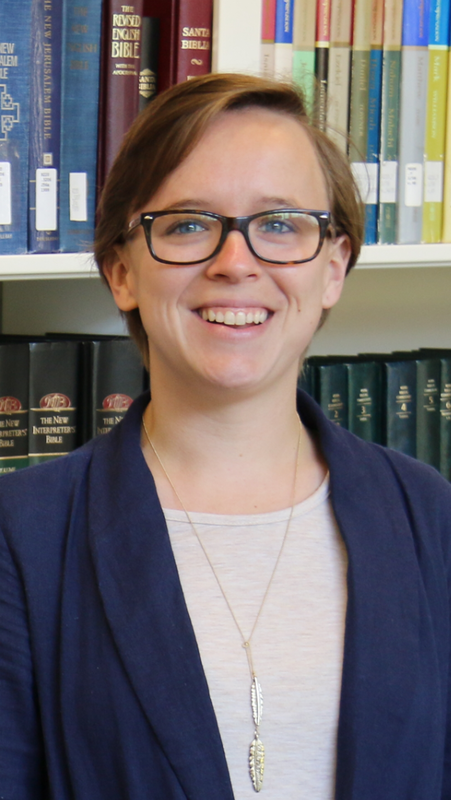 Sammy is in her third year at Wesley Theological Seminary and is a Missional Fellow. She is from Mandeville, La., and is a graduate of Louisiana State University with a degree in Communication Studies. Sammy is currently one of the recruiters in the admissions office at Wesley Theological Seminary. She sees herself going into ordained ministry in the local church and is thankful to serve Dumbarton for the second year in a row.